Buffy Handel is a successful award-winning entrepreneur, artist, choreographer, designer, athlete, educator and speaker whose vision is strong in purpose. She is currently completing several books, working on the expansion of her clothing-line, dance studio and non-for profit organization, for which she acts as Executive Director, as well as other business ventures in Canada and Germany. Buffy has always been connected to culture, dance and music, allowing her to create connections with her every day life and her international travel. She has extensive experience in modelling, acting, dancing and singing. 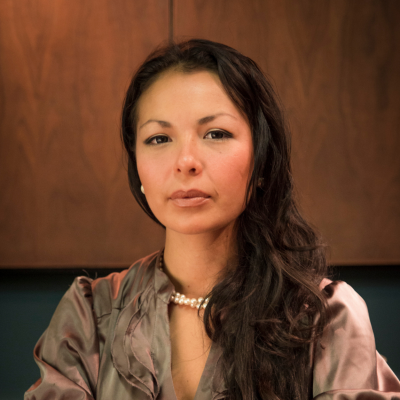 She has also been a reporter for popular Canadian radio, TV and newspapers as well as featured performer for Native American dance tours in the US, Europe, South America and North America. Buffy has participated in signature events such as the Juno Awards (Canada), Folkloriada (South Korea), the European Grammy Awards (France), the PAN AM games and the Vancouver Olympics (Canada) and has performed in Las Vegas (USA). Buffy is most proud of founding the Aboriginal School of Dance and has been recognized within Canada and internationally for her unique approach to the arts and culture. She is passionate about making a difference in the lives of individuals, who in return can become “in-motion-setters” in their own work place, community and environment. She has established methods for being reconnected and remaining close to the humane and spiritual ways of life. She has mentored thousands of youth throughout the years based on the theory of applying Aboriginal/Native American traditions to mainstream mannerisms. Her unique and rare upbringing has given Buffy an intuition like no other. Through many of her personalized seminars, workshops and presentations that are educational and inspirational, Buffy has developed a unique approach of opening a beautiful way of life. With 17 years experience in the business world, she can conceptualize the balance on how one can have a personal and professional life connected without fusing the two together. She also has a private mentoring practice for hand-selected participants based on a 24 hour / 7 days a week approach. Buffy has guided these young adults in areas such as spiritual, physical, emotional and mental balance and skills. These young adults have far exceeded expectations in becoming active role models and recognized mentors themselves. Buffy feels that they are a small part to what she knows is her life’s purpose. In 2013, Buffy was awarded the Queen Elizabeth II Golden Jubilee Medal for her contribution and accomplishments in the area of cultural education and her commitment to Youth development.